The UK and the EU-27 have agreed on an extension to Brexit, with the new deadline for the UK’s withdrawal moved back to 31 October 2019. The UK may leave the EU earlier if parliament passes the Withdrawal Agreement agreed by the Government and the EU. The Government and the Opposition have engaged in talks largely aimed at providing more clarity to the Political Declaration on the framework for future arrangements between the UK and the EU. The intention is that if a cross-party agreement could be reached on what the final state of these arrangement should look like, at least in its broad contours, there would be enough votes in parliament to pass the Withdrawal Agreement. This article looks at the background to the current state of affairs and the road ahead. Article 50 of the Treaty on European Union (TEU) provides that when an EU member state gives notice of withdrawal a basic period of two years is allowed for negotiation of withdrawal terms, taking account of the framework for future relations between the parties. If at the end of this period no agreement has been reached with the remaining 27 members (EU27) the withdrawing state secedes with no agreement on terms or on future relations. The two-year period can be extended, but only by unanimous agreement of all the parties. In the case of the United Kingdom a compromise agreement on withdrawal terms only was hammered out between the UK and the EU27 and endorsed by the European Council in November 2018. This agreement if ratified would be legally binding with treaty status. It is accompanied by an agreed Political Declaration setting out the parameters for negotiating the UK’s long-term relationship with the Union, in terms of close and lasting economic, regulatory and political cooperation. This document represents the optimal aspirations of both sides and is full of political, moral and practical good intentions; but it has no legal force. The package of two documents is loosely known as “Mrs. May’s deal”, though in fact it is the agreed outcome of negotiations between the UK Government and the EU27 acting together. Most of the British media and prominent politicians choose to consider the two drafts exclusively from the standpoint of UK domestic politics and to underplay or disregard the parallel interests of the EU27. MPs in the House of Commons, who in 2017 voted overwhelmingly to support the withdrawal notice given by the UK under Article 50, have three times rejected the negotiated result, by uncommonly large majorities. Their motivations range widely from objection to evident breaches of the Government’s pre-negotiation “red lines” and in particular to the proposed “backstop” agreement for Northern Ireland (see below) to, at the other extreme, concern that the deal would leave the UK for a time as a rule-taker with no influence over EU affairs and reveal the self-harming hollowness of the whole Brexit project. Faced with this impasse, the House of Commons has held two separate days of debates on alternative proposed “solutions” put forward by prominent parliamentarians from across the political spectrum. These included proposals for the UK to continue in a form of customs union with the EU; or for the UK to join the European Economic Area in an arrangement resembling Norway’s (in the EU single market but not the customs union); or for a free trade area agreement on the lines of the new EU/Canada FTA; plus several other suggested compromises. None commanded a majority, although proposals for a customs union came close to being endorsed. Meanwhile intensive argument has continued over Mrs. May’s deal, which the Prime Minister still insists must be ratified by Parliament despite having been voted down three times. The deal breaches several of the Government’s “red lines”, in particular those on financial payments to the EU and continuing jurisdiction of the European Court of Justice as regards compliance with EU-based regulations. In political terms it has the glaring long-term disadvantage of turning the UK into a rule-taker, without the say in formulating EU regulation which it currently enjoys as a member state. The main focus for political objection is the inclusion of the so-called “Irish backstop”, a contingency arrangement designed to avoid checks or any other interruptions of cross-border trade between Northern Ireland and the Irish Republic. 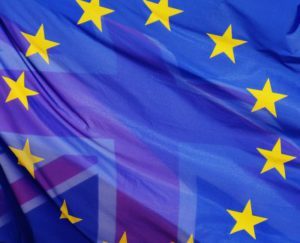 It provides that if no agreement on future UK/EU relations had been reached by the end of the originally proposed implementation period on December 31 2020, Northern Ireland would remain subject to EU regulations until a definitive UK/EU agreement had been reached on the future relationship. This would meet the stipulation of right-wing Conservatives and the ten Westminster MPS of the Northern Ireland Democratic Unionists, on whom the UK Government’s Commons majority depends, insist that there can be no “hard border” on the island of Ireland. But they also insist that there can be no continued, even if temporary, subordination of Northern Ireland to EU rules and regulations if that would lead to difference in treatment as between Northern Ireland and the rest of the UK. The alternative of temporary UK-wide relationship with the customs union, which could avoid such discrimination, is also ruled out as keeping the UK in the Union unacceptably long. Meanwhile the House of Commons has also voted decisively to reject the prospect of No Deal (the UK’s leaving the EU with no agreement on terms of withdrawal and future relations) as a policy option. On 8 April both Houses of Parliament passed binding legislation to this effect and to compel the Government to seek an extension to the withdrawal negotiating period as provided by Article 50TEU. 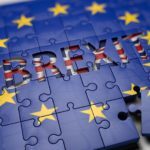 As the initial legal Brexit date of 29 March approached, the Parliamentary position was therefore deadlocked. The Commons had decisively rejected “Mrs. May’s deal” twice, but had not produced a majority for any alternative that might be put to the EU27. If No Deal was to be avoided, this already made extension of the Article 50 negotiating window vitally necessary. On 20 March therefore Theresa May wrote to the President of the European Council Donald Tusk asking for a “short extension” until 30 June which would permit the Government to resubmit the existing deal to the Commons subject to certain clarifications, principally regarding the Irish backstop, which had been subsequently agreed with the EU. The Government hoped that the deal could then be ratified and the legislation necessary to effect withdrawal cleared by both Houses of Parliament. The European Council opted instead to keep up the pressure on the UK. It agreed to an extension, but only till 22 May to allow for the necessary procedures for withdrawal to be put in place if Parliament had approved the deal meanwhile. 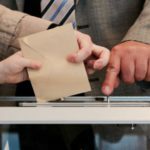 Withdrawal by this date would avoid the need for the UK to participate in the European Parliament (EP) elections on 23 May, which it would otherwise be legally obliged to do if it were still a member state at that time. However if no deal were approved by Parliament and deadlock continued, the revised Brexit deadline would be reset only until 12 April. The Government responded by separating the draft withdrawal agreement from the longer-term Political Declaration and putting it, on this amended basis, to parliamentary vote for a third time. Parliament rejected the motion, this time by a smaller but still substantial majority, but still expressed no majority preference for any alternative. As 12 April approached, with the alarming prospect of No Deal once again looming, Theresa May was forced to write another letter to Donald Tusk on 5 April requesting a further extension under Article 50 until 30 June, recognising that this would require the UK to participate in the EP elections but asking for the Council’s agreement that if it were possible to ratify the draft withdrawal deal by May 22, the UK would be able to bring forward the proposed Brexit date so as to avoid the need to participate in a pointless election of MEPs who might never take their seats. Mrs. May deplored the parliamentary impasse, which in a public statement she had most unwisely blamed on Parliament for exercising – albeit inconveniently for the Government – its democratic rights. This statement caused much offence among parliamentarians of all parties, at a time when her position was already under threat from a powerful group of Conservative backbenchers who concluded, somewhat incomprehensibly, that Mrs. May’s deal would be more acceptable to Parliament if she as its promoter were no longer in office to present it. In fact this proved not to be the case and as noted the deal was rejected for a third time even though by then Mrs. May had informally indicated that once the deal was ratified she would stand down. Significantly Mrs. May has not indicated her intentions if the withdrawal deal and future terms have not been endorsed by Parliament, but the beauty contest among senior Conservatives to succeed her has already begun. Internationally also it was very clear by this time just how far the UK was losing the tolerance and goodwill of some EU partners. 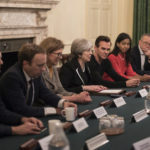 While the first extension period, although tighter than the UK had wanted, had been agreed relatively easily, the Government’s second request, debated by the European Council far into the night on 10-11 April, was a much more contentious affair. The EU27 divided between those who remained sympathetic to the UK’s internal political travails, and of course conscious of the great economic importance of EU/UK relations; and a much more sceptical group, led by France, who objected that the UK might just use the extra time to go on “kicking the can down the road”, and should be required to submit a reasoned request for extension. On a personal basis Donald Tusk had floated the idea of a longer extension of up to a year, to enable the UK to sort its position out in a spirit of calm reflection and if necessary to stage a further referendum or even a General Election. Some member states had taken good note of ill-judged statements by prominent UK Brexit supporters that in order to break the negotiating deadlock, UK politicians could enter into some form of agreement with the EU and afterwards exploit the British constitutional principle that no parliament can bind its successors in order to tear it up again. Consequently there was talk of imposing “good behaviour” conditions on the UK in the event of any further time extension under Article 50. This matter was resolved by a UK assurance that it would abide fully by EU law and regulations as long as it remained a member state. In the end a divided Council decided to split the difference, allowing a further extension to 31 October (Hallowe’en: a fact immediately seized on by comedians and cartoonists) but with provision for earlier UK withdrawal if the House of Commons made that possible by ratifying a deal agreed with the EU. The UK had no option but to accept this outcome and as a result, continuing for the time being as a member state, will have to take part in the EP elections on 23 May, for which preparations have now been set in train. The UK Government severely constrained its negotiating room at the very outset of Brexit negotiations by setting “red line” conditions designed to placate the most vociferous Brexit supporters on the Conservative right wing (escape from the jurisdiction of the European Court; no continuing contributions to the EU budget; an end to free movement within the EU; leaving the customs union and the Single Market; and an independent UK trade policy). The problems of meeting and reconciling those often conflicting stipulations were compounded by the furious political debate on the Irish backstop proposal, which in fact is a good-faith (though necessarily complex) attempt to solve the conundrum of avoiding an intra-Irish border while at the same time having one. The backstop proposal has got hung up on wider existential concerns about the unity of the United Kingdom, consistency of treatment for the UK as a whole including Northern Ireland, and the avoidance of any hint of slippery-slope movement that might point in the long-term towards Irish reunification. Meanwhile on the EU side the driving principle has consistently been to maintain the integrity of the Single Market, including uniform observance of the Four Freedoms (unrestricted movement of goods, services, capital and people). This includes offering unwavering support to the Republic of Ireland, as a member state, over the border issue while ensuring that goods do not leak across the border from Northern Ireland into the Republic in contravention of EU trade rules. The UK Government and the EU27 have negotiated a flawed and complex, but essentially well-intentioned, agreement dealing with the operational issues of withdrawal. This skirts as best it can round the difficulties caused by the UK’s own conflicting red lines and is designed to keep bilateral trade flowing after Brexit with as little disruption as possible. It is accompanied by the Political Declaration setting out wide-ranging aspirations, but at this stage no more than aspirations, for a comprehensive treaty on future relations. The UK Parliament has repeatedly rejected this package without agreeing on any alternative. The EU27 firmly rule out any reopening of the agreement on withdrawal terms, but there is room for further clarification and development of the proposals on future relations set out in the Political Declaration. It is this aspect on which negotiations, to be useful, have now to concentrate. The EU27, not without vigorous argument between themselves, have offered an extension effectively of six months in order to sort out the mess. Donald Tusk’s far-sighted suggestion of an Article 50 extension effectively of a year was designed to permit the UK to step back and reconsider its position calmly in the light of the understanding of Brexit-related issues which everyone now has. There must be serious concern that the agreed six-month extension to October 31 is far too short for this process, let alone to devise and agree a comprehensive package on future relations. At the same time it is long enough to offer recalcitrant interests in the UK the false comfort of being able to go on kicking the can down the road a time or two more. If good use is to be made of the extra six months now granted, authorities on both sides, but particularly in the UK, are going to have to show exceptional focus and discipline. 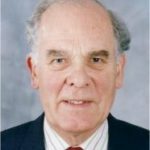 As first priority, develop fresh proposals for solving the Irish border problem which can keep trade flowing seamlessly while calming the real but probably exaggerated existential fears on the Northern Ireland side of the border as well as wider UK fears of actually or implicitly undermining the unity of the UK. Such a solution will be an essential component of any eventual UK/EU settlement, and it is essential that this negotiation be placed on a separate track and not allowed to obstruct other aspects of the ongoing discussions. Press on urgently, on a multi-party basis if that is more productive, with attempts to devise a withdrawal package that Parliament and the EU will both accept, in order to facilitate Brexit by 22 May and avoid the need for the UK actually to participate in the EP elections. Theresa May has suggested that if Parliament were to reject the existing Brexit package (agreement on withdrawal terms plus Political Declaration) for a fourth time, a limited range of options would then be put to the Commons for indicative votes as a guide to a new government strategy. This would have to be done in parallel with participation in the EP elections. Depending upon developments in Parliament, respond to growing public and parliamentary pressure and prepare to conduct a People’s Vote as a straight choice between (a) the existing May deal or any new or revised draft which may replace it in UK policy, and (b) on the other hand remaining an EU member state. It is widely argued that this would be deeply divisive in the country at large, but UK society is already riven In vs. Out on lines that divide the constituent nations, political parties, local communities and even families. Whichever way such a vote went, this fresh exercise in democracy could constructively clear the air; it could hardly make matters worse. In the extreme event of continued failure to agree on any viable Brexit negotiating strategy, prepare for a General Election. This is the stated preference of the Labour Party leadership, but in fact it is reported that as things currently stand, neither major UK party could actually afford to mount a General Election campaign so soon after the Elections in 2015 and 2017. It is now UK law to avoid a No Deal withdrawal, but No Deal could still happen without the Government’s being able to prevent it. The Government must further develop and maintain contingency arrangements and procedures for use in the event of No Deal. The “nuclear” option would be to rescind the UK’s Article 50 withdrawal notification, remain a member state on current terms as the European Court has advised would be possible, and either start again on the basis of properly worked-out proposals for withdrawal and future relations, or accept that the UK’s future should lie within the Union. This would be hugely controversial and humiliating for the Government and the UK as a whole, unless a referendum had first voted Remain; but it would avoid blundering myopically into the economic and political disaster which it is now overwhelmingly understood that No Deal would be. 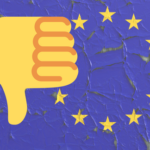 Despite the conflicting hopes for a decisive outcome harboured respectively by prominent Leavers and supporters of No Deal, and on the other extreme by ardent Remainers who see a further referendum as the path back to the status quo, the issue of UK/EU relations and procedures will be around for some years until – if – a comprehensive agreement on long-term relations can be hammered out. Various analysts have reported a steep decline in UK inward investment over the last two years, with large projects held on ice pending clarity on future bilateral relations. No Dealers, as well as cynical Leavers who suggest that a deal could be struck to get the UK out of the Union and then torn up, are heard loud and clear across the Channel and indeed worldwide. Their political leaders need to make clear the self-harming irresponsibility of such talk which risks prolonging the uncertainty over the UK’s economic future indefinitely. In short, the past three years since the 2016 referendum have been only the start of a tortuous process which will bedevil UK domestic and wider international politics for years to come and, to borrow Churchill’s phrase, is not yet even the end of the beginning. Switzerland for example, despite close similarities and shared objectives with the neighbouring EU economies, has not yet laid the ghost of its referendum in 1992 when it narrowly voted not to join the European Economic Area. The stakes between the UK and the EU27 are proportionately much greater. See separate articles on Brexit and the Irish border issue and A “backstop” solution for the Irish border problem?